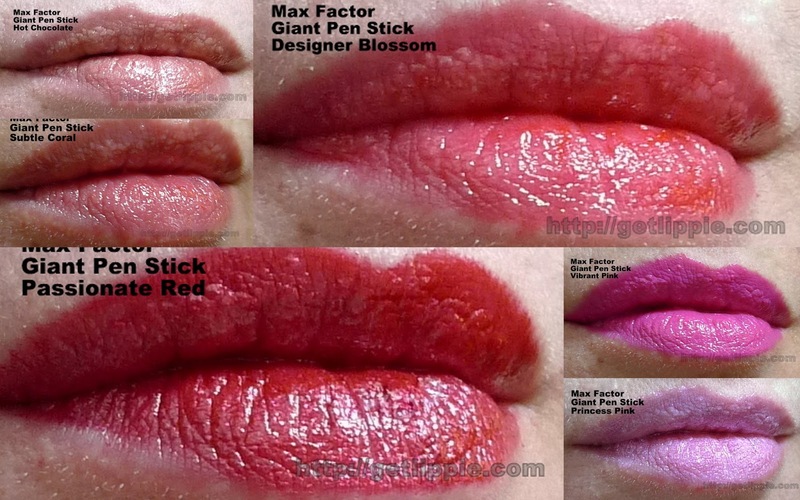 Max Factor Giant Pen Sticks Launch Monday! As in the previous pairings, there’s one sheerer (Designer Blossom) and one more opaque shade, in this case, Passionate Red. As you can probably see, Designer Blossom has more of a glossy sheen, whereas Passionate Red is more of a satin, last time for both is about average, you’ll need to reapply to get a glossy effect, but Designer Blossom has more of a staining effect on the lips than Passionate Red, so there’s very little “red ring of doom” effect in wear. Which are your picks? There’s a 3-4-2 offer on at Boots right now, btw …. The Fine Print: Advertorial post: Max Factor paid for the space on the blog, but not the opinions held within.